Sometimes getting your child to do their homework after a long day at school can be difficult. Especially when all they want to do is dash upstairs to get changed before going outside to play with friends. 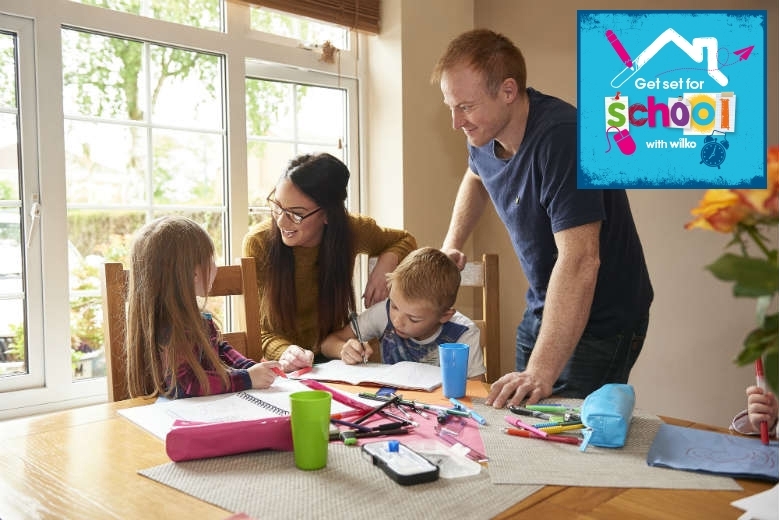 Finishing homework is an important part of their education and to help things along we’ve put together some helpful ideas which will make homework more fun and hopefully set your child up for a great start to their school year! 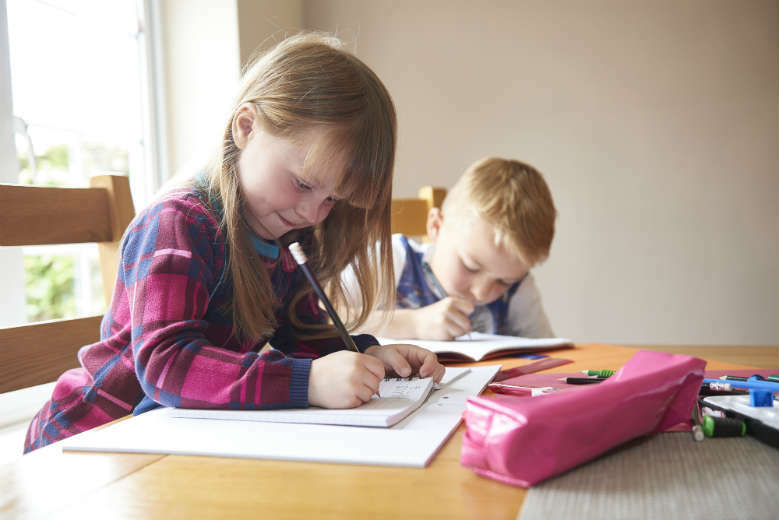 If your child has a friend who lives nearby who’s in the same class, why not encourage them to come round so they can do their homework together? Of course this all depends on whether or not you think their friend will be helpful or an unwelcome distraction! But having someone to bounce ideas off always helps with getting work done! If the weather’s nice why not break from routine and set up a table and chair outside for them to work from? Fresh air is great for relaxing the mind. Our brain needs 20% of our body’s oxygen to function so plenty of fresh air is ideal for bringing greater clarity to the brain (and for tackling algebra!). If you’re lucky enough to have a spare room or some free space in a quiet room it’s a great idea to set up a mini study area. Decorate it with pictures of their favourite football team or celebrity so it really feels like their own space and somewhere for them to sit quietly and study. Make sure it’s free from distractions so they’re able to focus and check in on them regularly so they don’t feel lonely. Also, natural light and fresh air is important, so make sure their study space has plenty to offer. Stationery has the potential to brighten up any dull task. 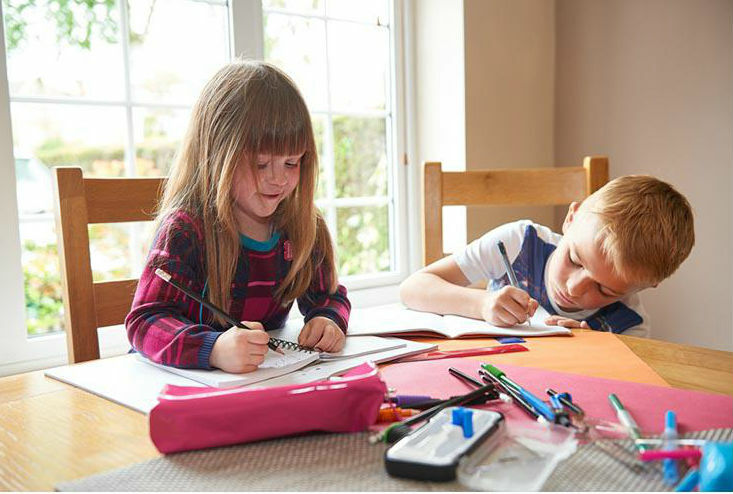 From highlighters to gel pens, there are a whole host of stationery products to help add a splash of colour to often monotonous homework. How about kitting them out with a brand new pencil case? It’s the perfect home for all those stationery essentials, and may just provide the motivation they need to get their work done. Give your child an incentive to finish their work by allowing them to spend time doing their favourite thing once they’re done. Let them run around in the garden with their toys, play with friends or catch up on their favourite TV show. Keep it simple so they’re motivated to finish their homework but it doesn’t leave you out of pocket! Children will study most effectively when they don’t feel they’re under pressure to finish a task. If they’re getting really stuck with homework, offer to help or encourage them to speak to their teacher in the morning. When your child gets home from school, they’ll no doubt want to reach for the treats cupboard. Avoid sugary snacks and instead fill the cupboard with fuel for the brain. Things such as nuts, bananas and dried fruit are ideal for them to munch on whilst doing homework (without ruining their dinner!). Don’t forget to keep them hydrated too, we have plenty funky drinks bottles to encourage water drinking. No matter what you do, it’s important that you keep your child’s routine as regular as possible so they become used to coming home from school and completing their homework. If they’re able to focus for an hour each evening, the rest of the day can then be spent on enjoying the great outdoors, seeing friends or something just as fun! Find everything you need to kit the kids out for the new term and beyond at wilko.com.